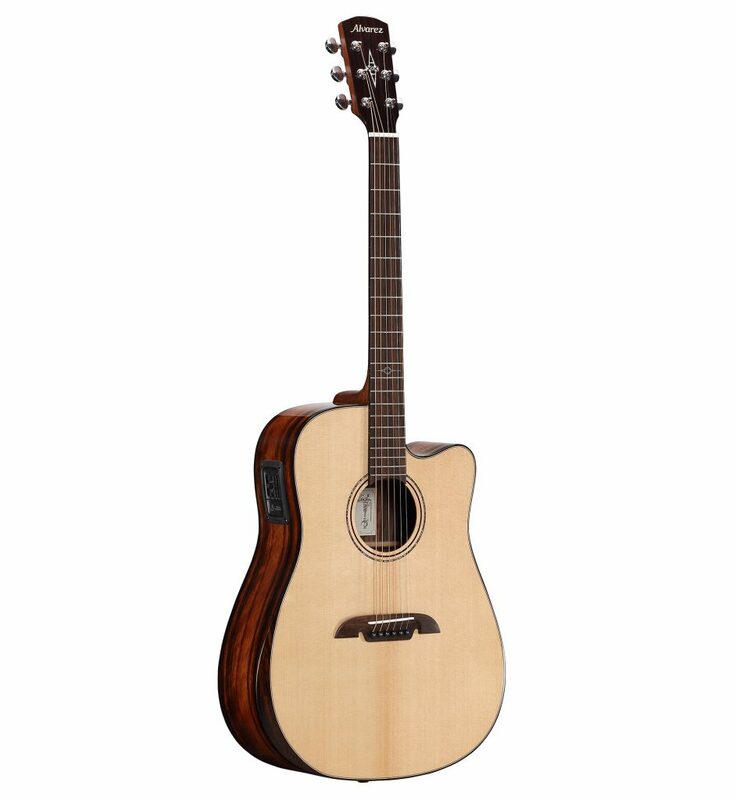 In conceptualizing Artist Elite, our goal was simple: Produce a collection of guitars beyond comparison. 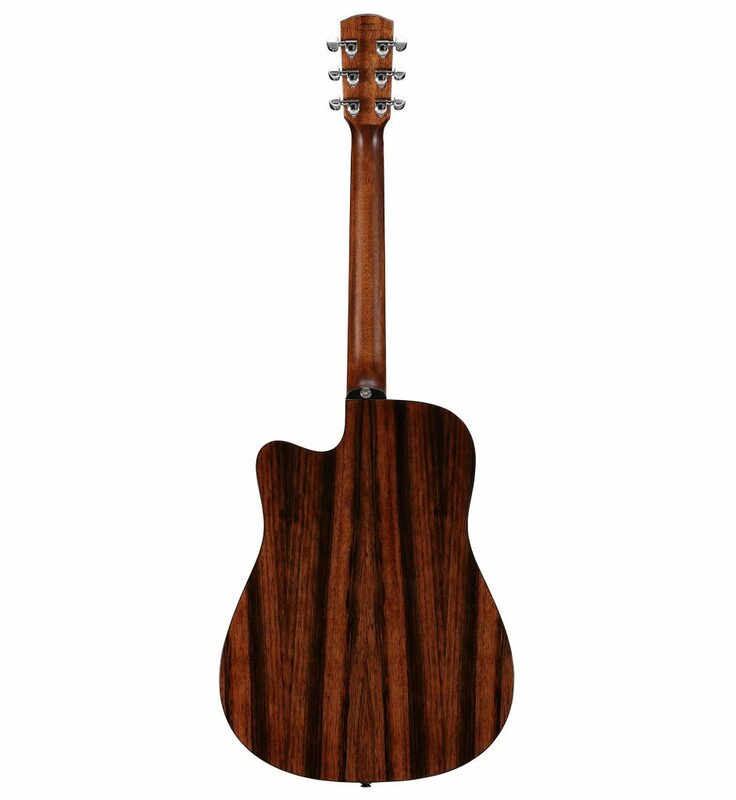 There are of course many wonderful guitars available, and some are every inch as beautiful as Artist Elite, but we don’t know of any that offer the same value. 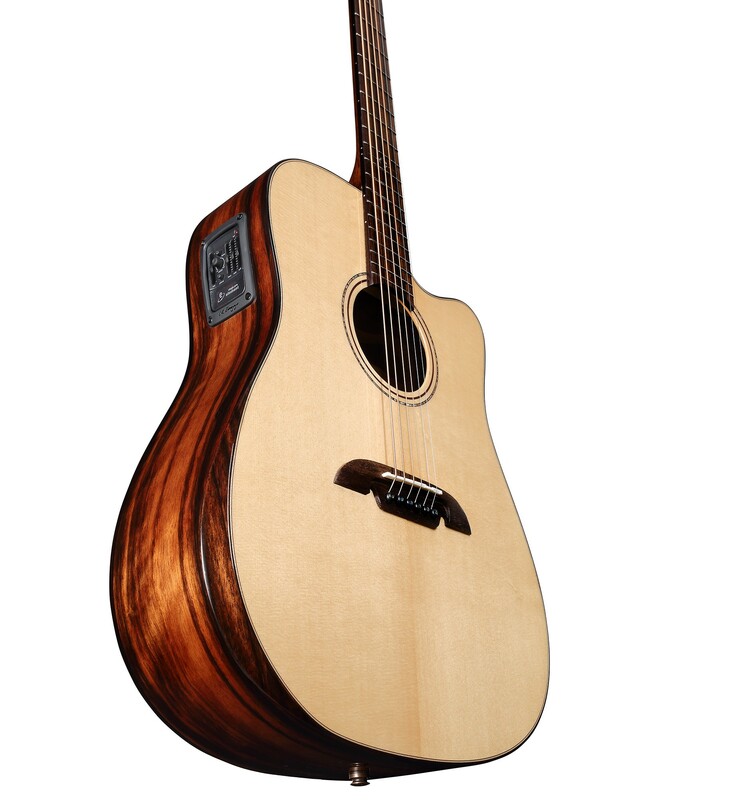 The ADE90CEAR is a serious dreadnought with great character and a killer tone. It’s AA North American, solid Sitka spruce top and Macassar ebony body gives you lots of volume and low-end with super clear trebles. 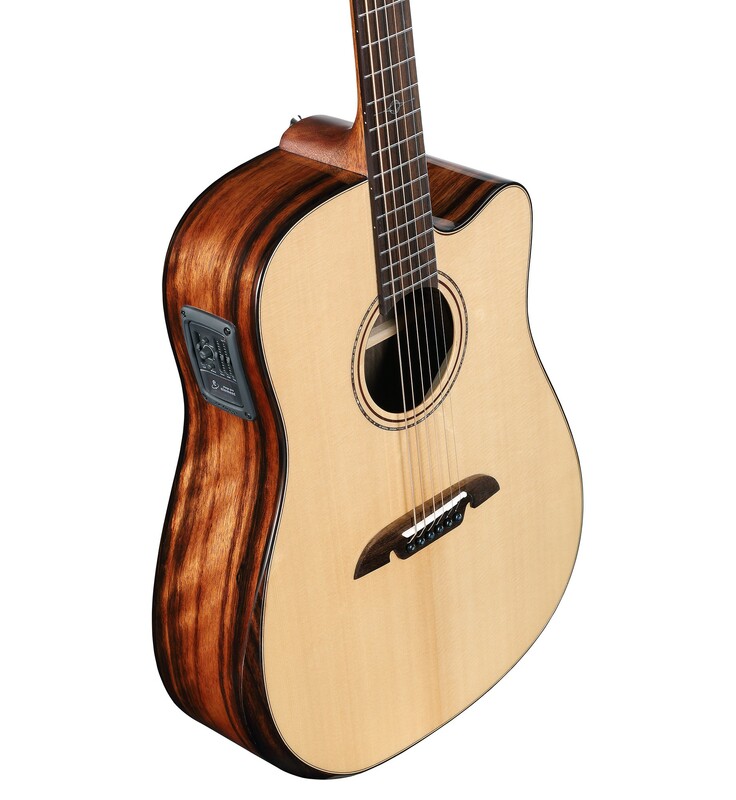 Aesthetically the guitar oozes quality from its premium tonewoods, LR Baggs electronics and its ebony bevel armrest. 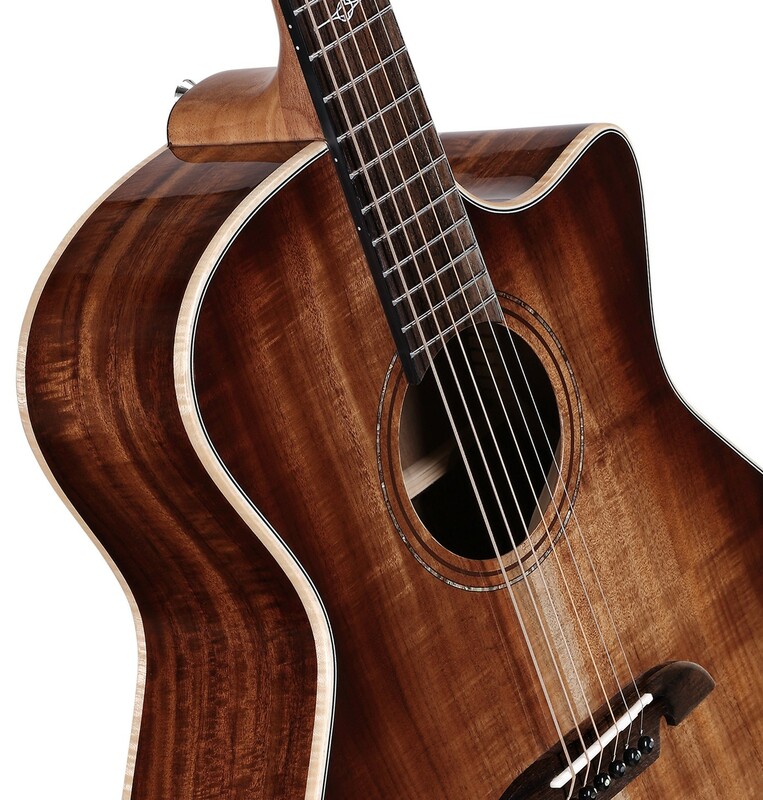 This is a stunning guitar with a really high-end vibe and big voice. After 50 years of making guitars, continual improvement through the use of emerging technologies, processes, and materials is still at the heart of our culture. Alvarez guitars are constructed correctly in every sense from raw material preparation to construction and manufacturing processes. Our tone woods are carefully cured; our components such as neck blocks and wood joints are carefully designed. The painting, sanding and polishing techniques we use are continually researched and developed, and our tone is impeccably crafted and married to a stable, designed and lively sound box. Each model is designed to get the best out of its components, and for them to work together to produce balance, lively projection and great response. These components include bracing architecture that is specifically designed for each body shape or tonal requirement. 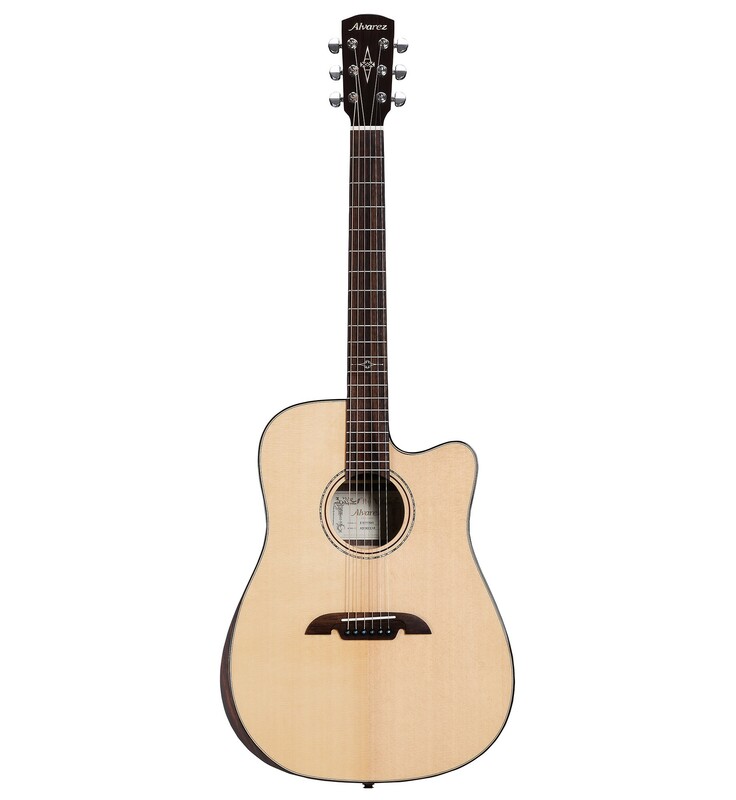 Our Bi-level bridge is designed to heighten string tension and improve sustain and response. 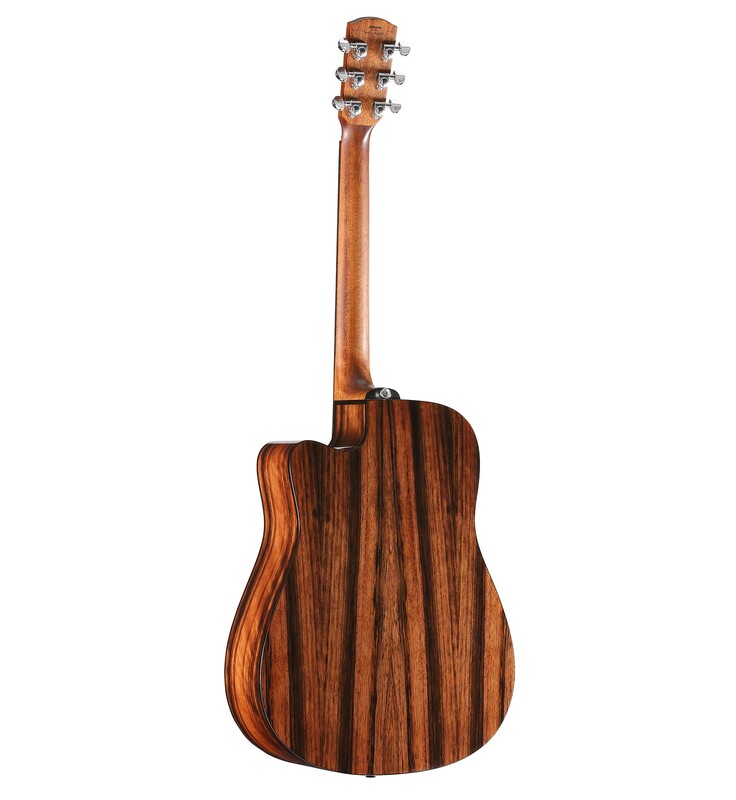 Real bone nut and saddle, premium tone woods and our crafted attenuated finish all further the quality of construction and positively impact the performance of the instrument.